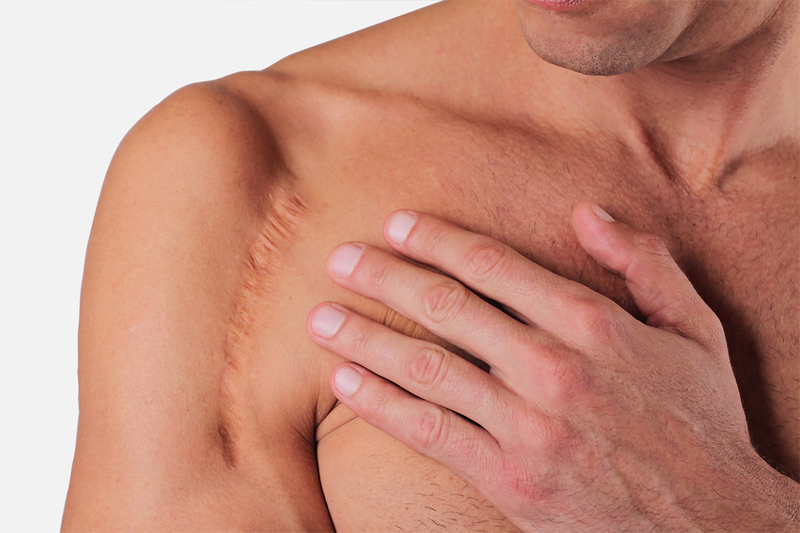 Regenacyn™ offers reduction of the scars resulting from burns, surgical incisions and trauma wounds. Regenacyn™ Advanced Scar Management Hydrogel is clinically proven to soften and flatten raised scars while reducing redness and discoloration, is intended for the management of old and new hypertrophic and keloid scarring resulting from burns, general surgical procedures and trauma wounds. Regenacyn™ Advanced Scar Management Hydrogel, formulated with patented Microcyn® Technology, has been clinically shown to improve the texture, color, softness and overall appearance of scars. Regenacyn™ Hydrogel is intended for the management of old and new hypertrophic and keloid scars resulting from burns, general surgical procedures and trauma wounds. Remove cap from bottle and replace with enclosed finger pump. Discard cap. Shake well to mix before each use. Clean the affected area and pat dry. Apply Regenacyn™ Hydrogel in a thin layer to the scar area three times per day (or as recommended by your physician) and massage gently into the skin. Allow to air dry completely (usually four to five minutes). Once dry, Regenacyn™ can be covered with cosmetics or pressure garments. Recommended length of treatment is 90 to 120 days.